Eighteen wheelers- the name indicates that the vehicle is super large and powerful. 18 wheelers are used for interstate deliveries. Sharing the same road with 18 wheelers is dangerous as a little push or strike from the 18 wheelers to the smaller vehicles can damage the later with huge impact. The truck is almost 13 times heavier than a 5,750 pounds vehicle. 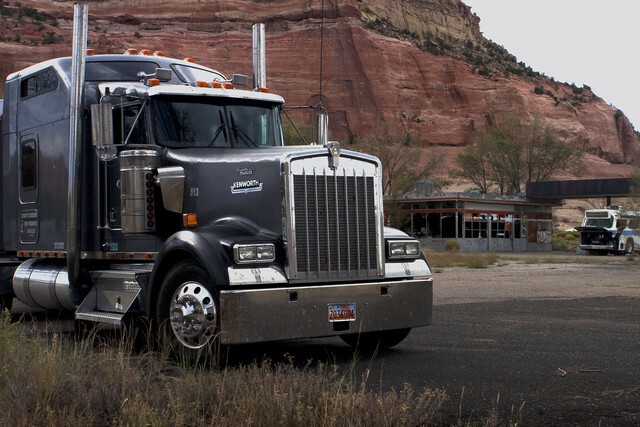 An eighteen wheeler is around 1,000 – 2,000-foot pounds of torque. The specialty truck like the U.S. Army’s “M1070A1” , a heavy equipment tank transporting vehicle possesses an engine that develops 700 horsepower along with 1,900 ft-lbs of torque. It can move at around 80 kph while bearing a tank. An eighteen wheeler requires around 15 feet of turning radius. They contain big sized side mirrors. The drivers of these trucks are needed to be proficient in turning and backing up. YES! You heard it right. An 18 wheeler contains 19 wheels. The 19th one is a round metal plate that agrees to receive the trailer’s kingpin for getting the two pieces in conjunction. It is known as the fifth wheel. The scaring fact is that the careless truck drivers cause more fatal accidents on the roads. As per the government studies, it has been found that 18 wheelers are responsible for around 4% of the total vehicles plying on the road. These trucks account for around 1 in 8 of the major traffic accidents. The truck drivers are often found tired because they work for long hours and multiple schedules at a stretch. Again, drivers get distracted because they use the phone, eat, drink, look at the posters, etc. Then, they also drive too fast to meet deadlines. They also show aggressive behavior and overtake other vehicles out of rage. As per the findings of the Federal Motor Carrier Safety Administration, the poor execution of the 18 wheelers cause around 87% of the road accidents. The finding also states that factors like traveling too fast, legal use of the drug, not knowing the roadway, fatigue, pressurized by the motor carriers and lack of surveillance, etc. are significant for road accidents. The government has taken few actions for decreasing the accidents. The government initiated federal regulations for decreasing the amount of the truckers working on the road. Several drivers try to ignore these regulations. 18 wheelers are one of the essential vehicles used for commercial purposes. They bring a considerable amount of economy in the countries. It is the duty of every citizen to work tirelessly for reducing the risk of truck accidents on the road. Big commercial trucks are not similar to the standard passenger vehicles. It is not easy for a driver to accelerate, turn, and stop the 18 wheeler carrying thousands of pounds of materials. The other car drivers should keep a safe distance while driving around an 18 wheeler. Always keep watch on the road. Don’t take any calls and receive/send SMS using a smartphone. Don’t eat and drink while driving an 18 wheeler. Never take alcohol or any kind of sedative before and during truck driving. Take adequate rest in between the drives. Never work for multiple schedules at a stretch. Follow the recommended speed while driving. Keep your eyes on the road and the side mirrors. Drive slowly in the congested and narrow areas. Other car drivers must not go to the blind spots of the 18 wheeler because the truck driver won’t be able to see you. Always take help of an experienced truck accident attorney if you encounter a truck accident. The truck wreck can change your life forever. The cost associated with medical treatment, surgery, property, and personal damage, professional damage, etc. are extremely high. If your family member dies in an accident involving an 18 wheeler, the matter turns eviler. Only a specialized truck wreck legal practitioner can deal your case. Never ever listen to the trucking company’s bait of money offered to you. Their representatives may scare or threat you. Be confident and inform the police and your lawyer. Dealing with these situations alone can take you to nowhere. The truck drivers can complain to the respective authorities if they are pressurized by the trucking seniors.